With Alivia quickly approaching her half year birthday, I feel like I have a bit more room to breath. With a more predictable routine and less time attached to me (literally), I’ve been slowly coming out of my motherhood hibernation in search of delicious meals. 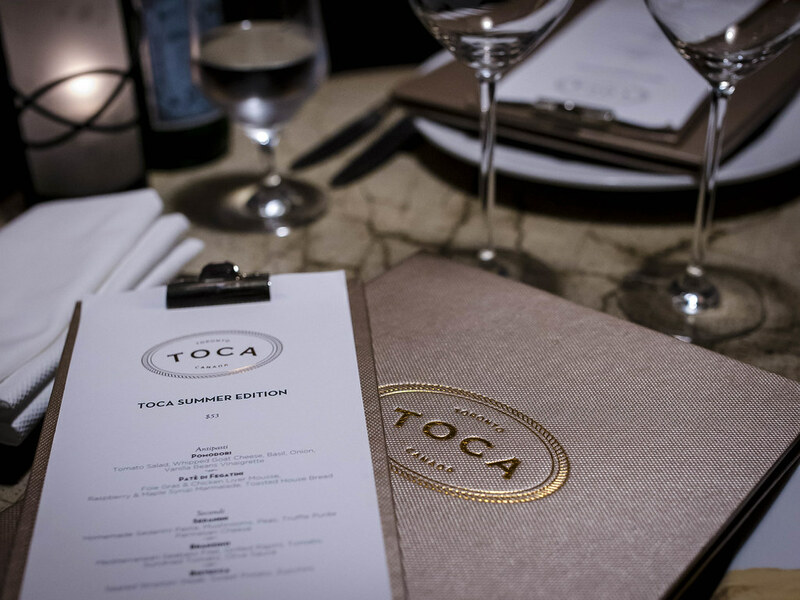 A few weeks ago, Stephen and I enjoyed the summer menu at Toca, an intimate Italian restaurant located inside The Ritz Carlton. 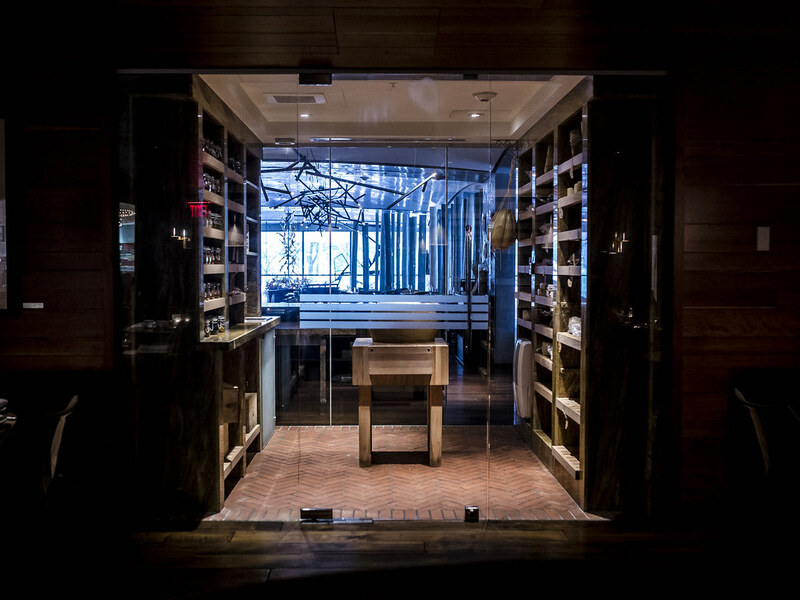 The restaurant featured a menu created in collaboration with Michelin star Chef Oliver Glowig, hand painted plates and it’s own Cheese Cave. 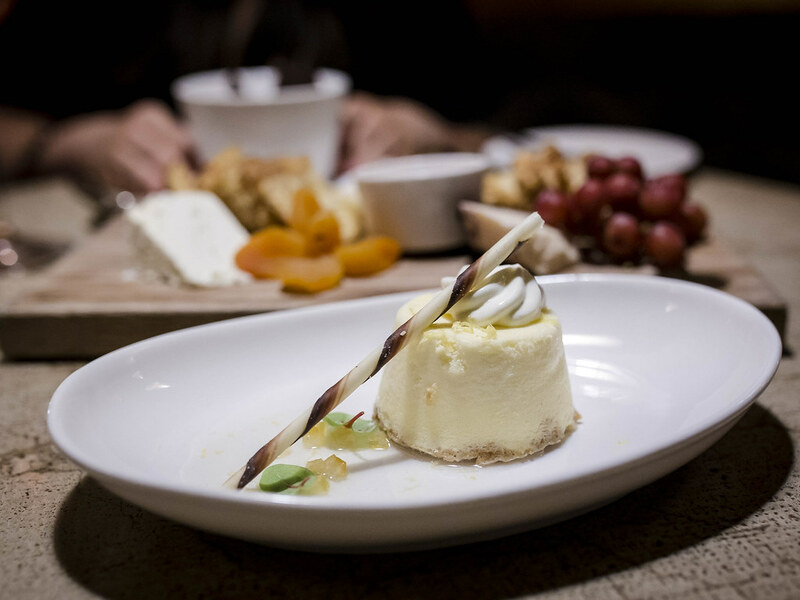 Atmosphere: The main dining area of Toca was dimly lit with plush cushioned seats and cozy booths. 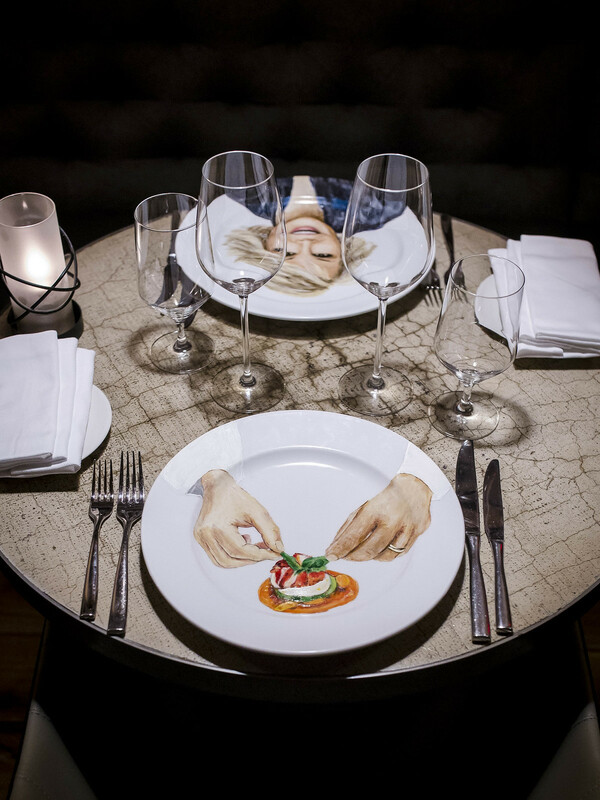 At each place setting there was a stunning hand painted charger plate, featuring dishes from the restaurant’s menu, celebrities and even puppies. Each plate was custom created by The Crazy Plate Lady, one of my favourite Toronto artisans. 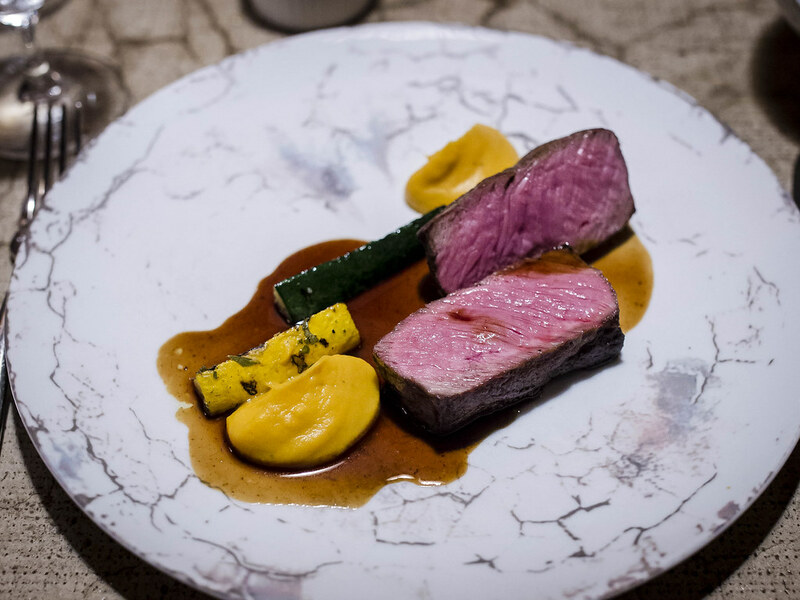 While Toca felt elegant with a subtle grandeur, the restaurant was still very family friendly and accomodating. 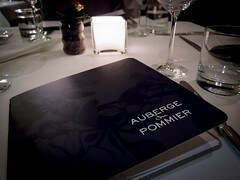 Several tables that night had children dining with them while others were occupied with couples and a few solo diners. Service: I truly enjoyed the service that night. Our server was efficient and professional. Dishes were served together and cleared quickly. As we were invited to come by for dinner, the manager checked in on us during the evening. While chatting about Toca I mentioned my interest in their Cheese Cave and he offered to take us in for a quick tour before dessert. The tour was fun and informative. 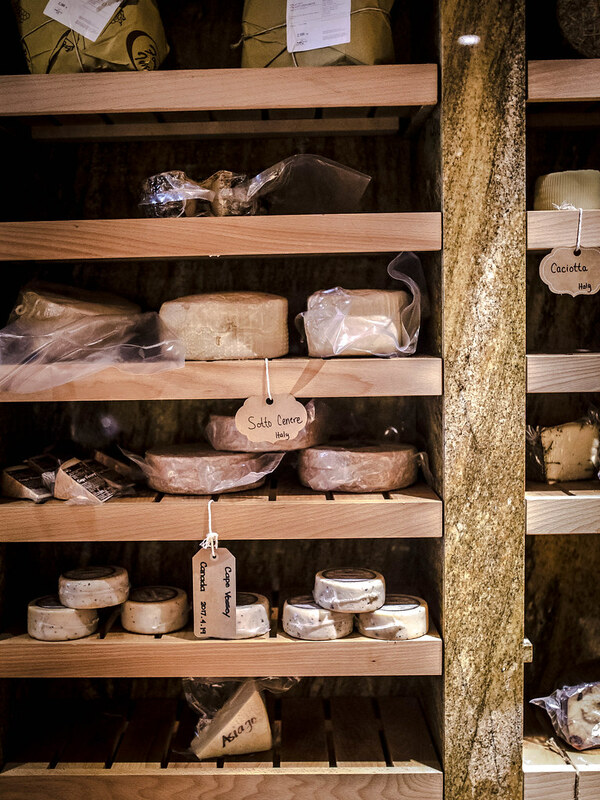 We learned about the varieties of cheeses that were housed there, their history and how they were aged. I’d highly recommend the experience if you’re dining at Toca or staying at the Ritz Carlton. 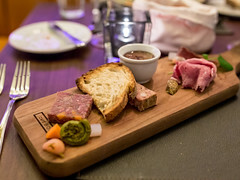 We were then surprised with a cheese platter, which was above and beyond the level of service even compared to other restaurants we’ve visited for tastings. Also, wow what a seriously delicious platter. More on that next. Food: Stephen and I ordered from Toca’s Summer menu, which was a 3 course set menu (same as their Summerlicious menu) available until the end of August. 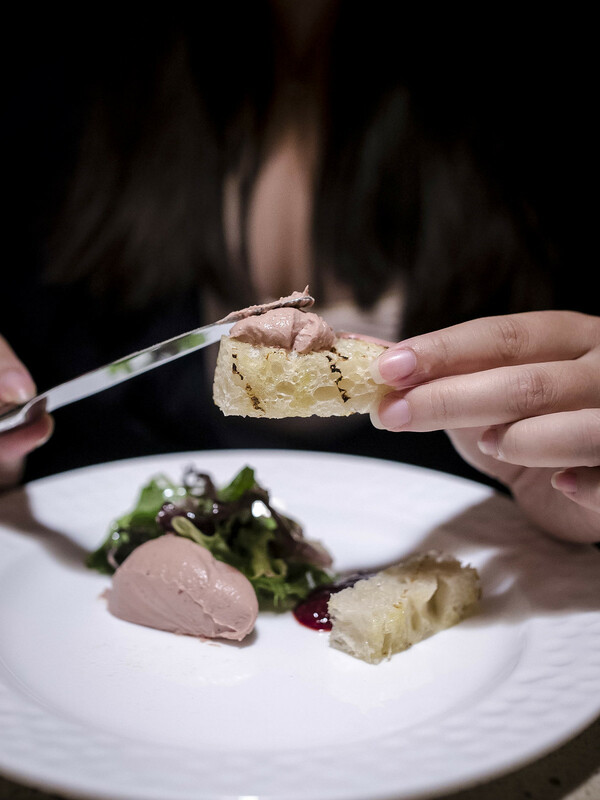 To start, we both chose the Foie Gras and Chicken Liver Mousse served with a raspberry and maple syrup marmalade. The mousse was creamy and rich, wonderfully complimented by the sweet and tart marmalade to create a decadent bite. Before the first course, an amuse bouche was served that was a similar mousse, which confused us a bit. 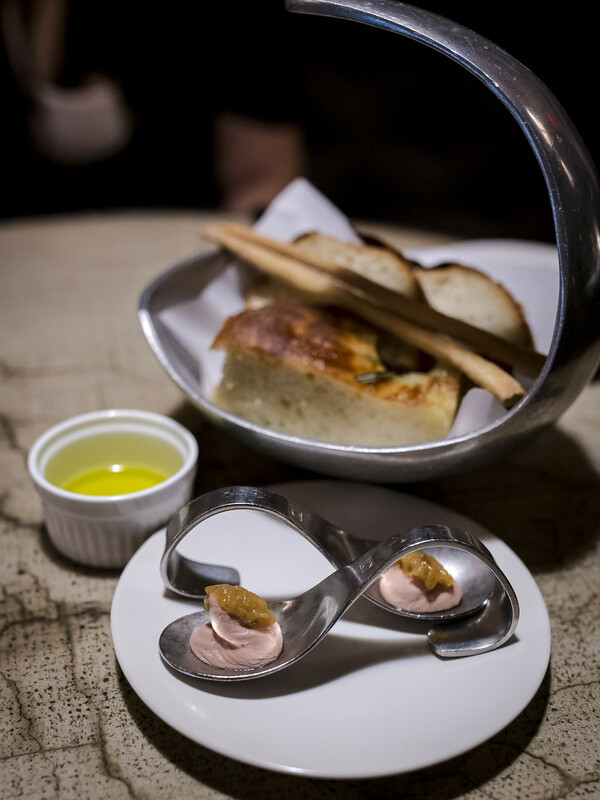 However, more foie gras and chicken liver mousse only makes me happier. 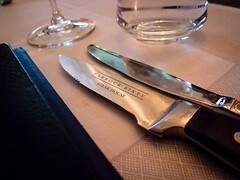 For mains, I opted for the grilled Branzino while Stephen gas the seared Bistecca (strip loin steak). His steak was cooked a perfect medium rare, tender, juicy and with a great crust. 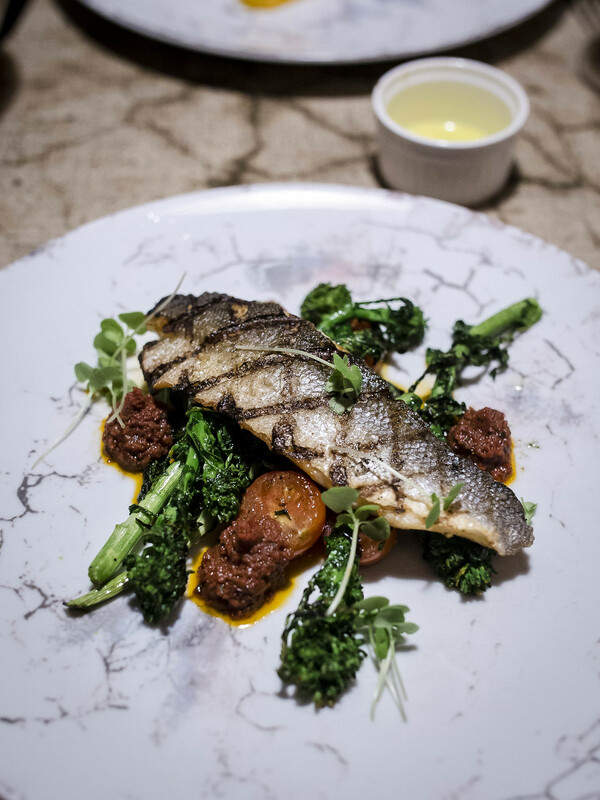 I also enjoyed my seabass, which had a perfect crispy skin. Dessert was a slice of Ricotta Cheesecake for Stephen and Tiramisu for me. Both options were delicious and felt indulgent without being overly sweet. 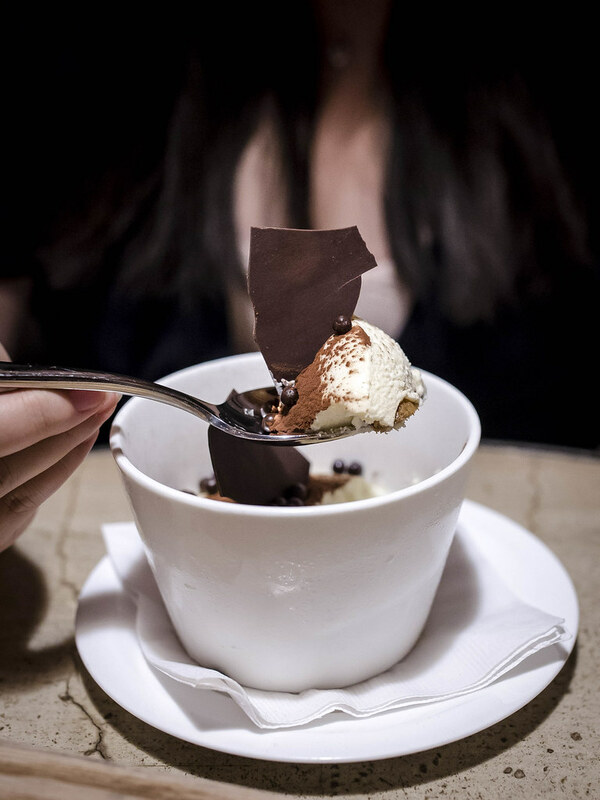 My tiramisu was creamy and a had a strong coffee flavour and dark chocolate pearls. We finished our meal with a 3 cheese platter that was one of the best I’ve ever had. There was an excellent variety of textures (soft, semi, hard) and flavours (cow’s milk, sheep’s milk) that was thoughtfully put together. I absolutely loved the Testun Di Barolo that we had just learned about during our cheese cave tour. 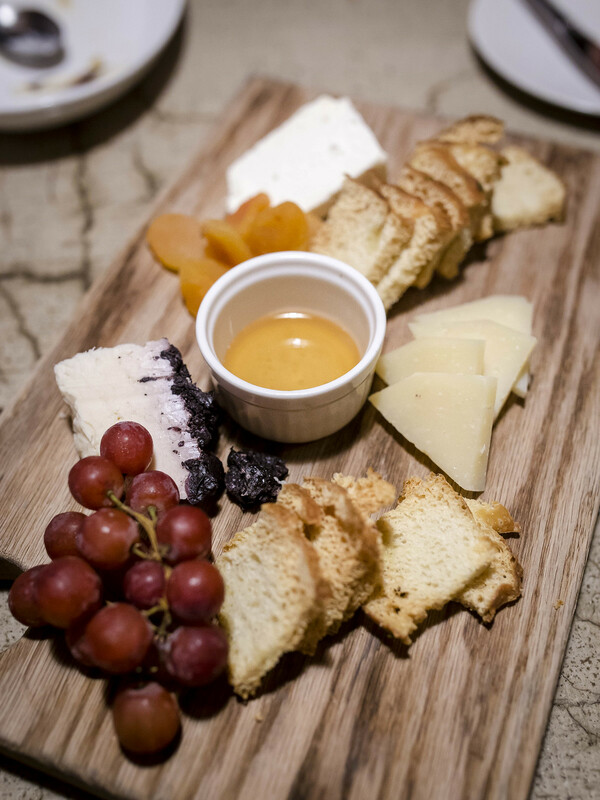 The sheep’s milk cheese from Italy was covered in grape-must from the making of Barolo wine and aged for 18 months. Each bite was like having wine and cheese at the same time, magical and so delicious. 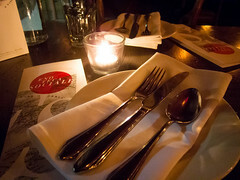 Overall, dinner at Toca was a lovely break from diapers and nursery rhymes. 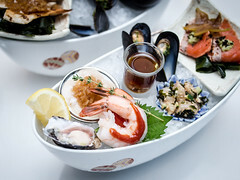 The summer dinner menu is available for a few more days ($53 for 3 courses until the end of August), and a special set menu for TIFF will be available during the festival. I’d highly recommend trying out their cheese selection.